Following genre-fluid shows in Moscow, Beirut and Sao Paulo, Boiler Room x Ballantine's True Music: Hybrid Sounds tour concludes in Valencia this month. True Music: Hybrid Sounds is a celebration of the intersection of electronic and acoustic music, which has so far featured artists including Overmono, Dollkraut and rRoxymore. Bulgarian techno producer KiNK is the headliner for the Valencia event, which takes place on 26th July. He will be joined by fellow live techno masters Octave One, UK-based neo-soul duo Children of Zeus and Swedish-Hungarian DJ Kornel Kovac. KiNK, a live set specialist who is known for his creative use of technology and freestyle hardware performances, will collaborate with Spanish hip hop trio BIG MENU and R&B vocalist Kyne to release a track for the forthcoming True Music Hybrid Sounds EP. Kyne will also perform at the Valencia show. 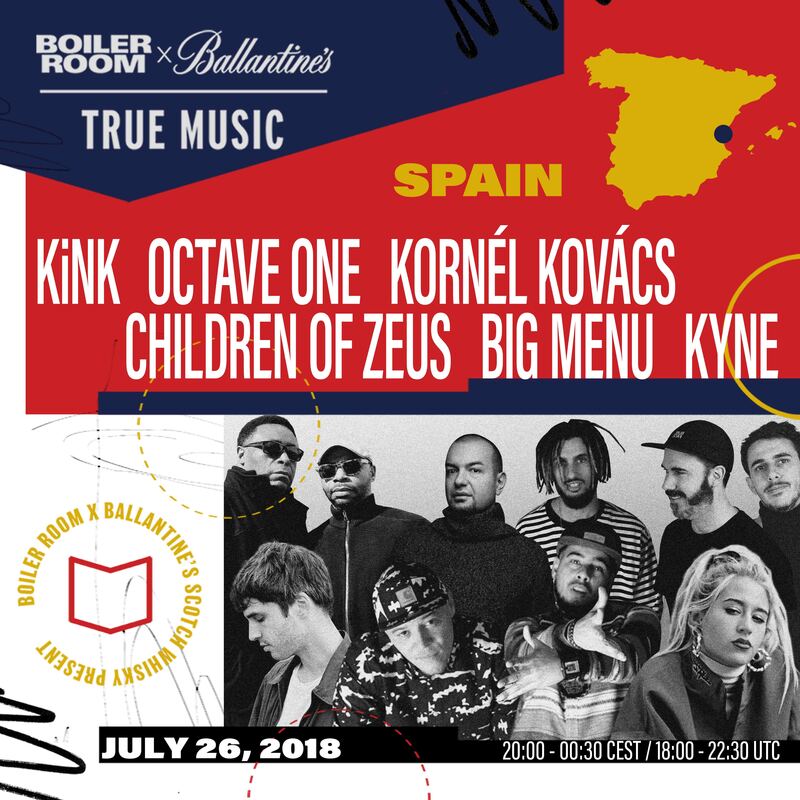 Alongside the club event, Valencia hosts the fourth Boiler Room x Ballantine’s True Music Forum, on 25th July. The True Music Forum includes a series of panel discussions and keynote conversations, aiming to create a space for the cross-cultural music community to learn, exchange and build new ideas. The panel topics include 'Don't Feed The Trolls: Social Media in Music' and 'The Rise of AI in Music, Threat, Challenge or Opportunity'. The Forum and club event will be broadcast live on DJ Mag's Facebook page. Follow us here to be notified when the broadcast starts.